The aim of this research is to determine the impact of specific motor knowledge of alpine skiing on success in giant slalom race of students. On a sample of 18 students of the Faculty of Physical Education and Sport there has been used set of four variables of specific motor knowledge of alpine skiing, as predictor variables, to determine the impact on the criterion variable modified giant slalom race. It was found that the variables dynamic long radius turns and skiing with the changes of rhythm and tempo together have a greatest predictor validity, at statistically significant level of p = 0.01, and that they are critical for success in modified giant slalom race of students. It can be concluded that the impact on the result in the modified giant slalom race for students have the level of mastering of advanced elements of ski technique, which at this level of knowledge is crucial in giant slalom competition. The results of this study may be of importance in creating programs for different levels of mastering of skiing techniques in both advanced ski school and some stages of competitive skiing, which is of great importance for the result in giant slalom and skiing in general. 1. Adams J.A. A closed – loop theory of motor learning. J motor behav. 1971; 3: 111–150. 2. Cigrovski V., Matković B. Specific fitness preparation of skiers. (In Croatian) In: Proceedings Conditioning of athletes. Eds. D. Milanović, I. Jukić. Faculty of Kinesiology, University of Zagreb. Zagreb 2003: 518–520. 3. Cigrovski V., Božić I., Prlenda N. Influence of motor abilities on learning of alpine ski technique. SportLogia. 2012; 8 (2): 108–115. 5. Elliot J.M., Connolly K.J. Hierarchical structure in skill development. In: The growth of competence. Eds. K.J. Connolly, J. Bruner. Academic Press. New York 1974: 135–168. 6. Franjko I., Maleš B., Kecerin I. The level of the specific motor skills directly determine the giant slalom performance in skiing demonstrators (In Croatian). Proceedings of the 1st International Conference “Contemporary Kinesiology”, Kupres 2006: 98–101. 7. Horga S. Psychology of sport (In Croatian). Faculty of physical education. Zagreb 1993. 8. Jurković N., Jurković D. Skiing: The Technique, Methodology and Training. Graphis d.o.o. Zagreb 2005. 9. 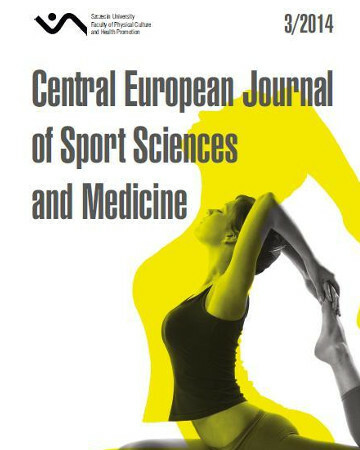 Kovač M. Assessment of Gymnastic Skills at Physical Education – The Case of Backward Roll. Science of Gymnastics Journal. 2012; 4 (3): 25–35. 10. Krističević T., Živčić K., Cigrovski V., Simović S., Rački G. Correlation of motor acrobatic skills with success in slalom and giant slalom in young alpine skiers. Croatian Sports Medicine Journal. 2010; 25: 9–15. 13. Kuna D. Forming of an expert model of the elements of basic and advanced ski school (In Croatian). 4th International Scientific Conference “Contemporary Kinesiology”, Faculty of Kinesiology, University of Split. Split 2012: 145–152. 14. Lešnik B., Žvan M. A turn to move on – Alpine skiing – Slovenian way. Theory and methodology of alpine skiing. SZS – Združenje učiteljev in trenerjev smučanja. Ljubljana 2007. 16. Mejovšek M. Introduction to the methods of scientific research (In Croatian). Faculty of Education and Rehabilitation Sciences University of Zagreb, Naklada Slap. Zagreb 2003. 17. Mujanović E., Krsmanović R. Predictive value of motor abilities on the result in criteria variable ski short turn. Sport – scientific and practical aspects, international scientific journal of kinesiology. 2008; 5 (1&amp;2): 61–65. 18. Mujanović E., Nožinović Mujanović A., Šabović A. Alpine skiing: methodology, techniques and tactics (In Bosnian). Off-set. Tuzla 2012. 19. Schmidt R.A. The schema as a solution to some persistent problems in motor learning theory. In: G.E. Stelmach. Motor Control, Academic Press. New York 1976: 41–65. 20. Schmidt R.A., Wrisberg C.A. Motor learning and performance (2nd ed.). Human Kinetics Publishers. Champaign IL 2000.